Repeatedly voted number 1 service dealer in rural NSW by Toyota Australia, the service team - headed by Service Manager Shane Stone and Parts Manager Matt Smith - are committed to the longevity of your vehicle and the ultimate in convenience and economy when it comes to vehicle ownership. All delivered with a dash of the good country service that you'd expect from Warren Plowright's team. Training, technological investment and facilities are crucial components in ensuring your ownership experience and is second to none. Our Parts and Service team are equipped with the full array of qualifications available through Toyota, so you can be assured that your car will be treated right - no matter what make or model it might be. With our kind of passion you can ensure that you and your Toyota are being taken care of by experienced staff at Warren Plowright Toyota. *Excludes Government & Rental vehicles. Need more information? 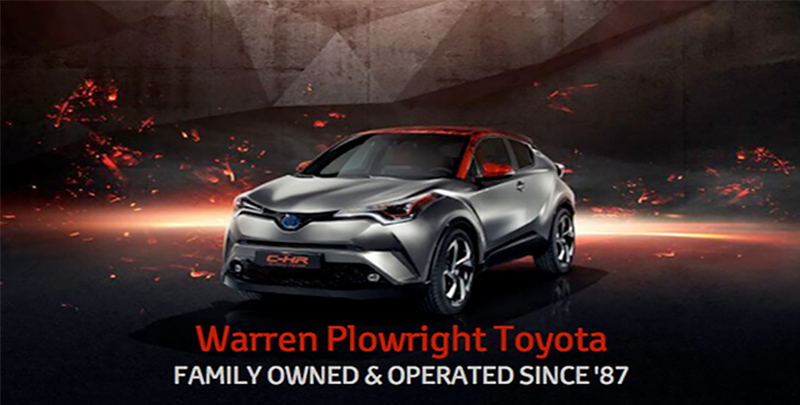 Talk to Warren Plowright Toyota today. Each model of Toyota is unique. To find out how many capped price services are included for a particular model, please contact Shane and the rest of the team at Warren Plowright Toyota. If you have questions about the time periods in which you can claim each of your services, feel free to get in touch with us on 65 89 39 89.